With so much news in the media about police shootings, it’s no wonder there seems to be a great mystery about how, when, and where the police can use their firearms. I thought I’d take a minute to explain the legalities in some detail. 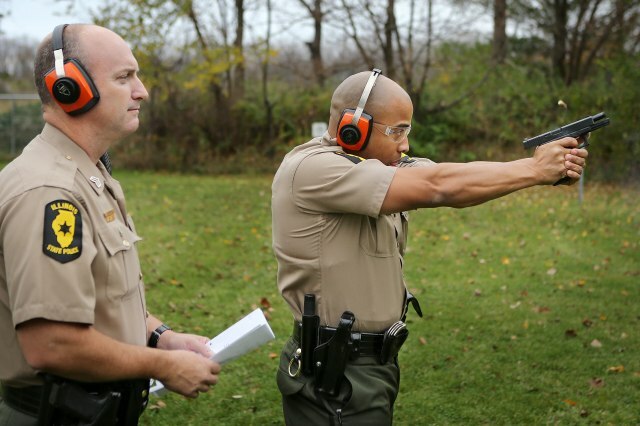 Police are neither trained to “shoot to kill” nor “shoot in nonlethal places”. They are trained to aim for and shoot at the the center of available mass until the threat is stopped. Period. “Shooting to kill” is actually illegal in itself. The use of force in self defense must not exceed that force which is necessary to secure your safety. So strictly speaking, if they die as the result of your use of force, that’s legal- but your goal cannot be to “kill them”. Medically speaking, it can take from seconds to minutes for your shots to become effective and stop the threat. Simply shooting someone in the arm or leg won’t necessarily stop their ability to attack you, especially if they are likewise armed with a firearm. Wounds to the vital organs are necessary for instant threat removal, and by nature- those tend to be lethal. Police are generally exempted from the “duty to retreat” because they also have a duty NOT to retreat. They are expected to run into situations others would run from. Police are also generally allowed to use one level of force greater than a civilian would in the same instance. The nature of police work in itself requires the law to give them that extra latitude. Ultimately, the use of force- even in self-defense- is technically a criminal act. “Self-defense” is a legal excuse for using force, whereby you may be excepted from prosecution under certain circumstances. In most jurisdictions, these same rules apply to civilians as well as police, with the exceptions noted.